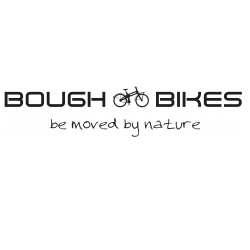 Bough Bikes, the wooden bike company, is founded by Jan Gunneweg and Piet Brandjes in 2012. Thanks to the advanced computer-controlled milling machine, the company is able to produce wooden bikes in larger quantities while keeping them affordable and consistent high quality. Jan Gunneweg is a Dutch designer with a love for natural products. “If you design from nature you will always create something that people feel comfortable with.” His design stands out because of the combination of beauty, simplicity and functionality. Jan wants to inspire people and bring them closer to nature through his designs. His greatest passion is wood. “Wood is warm, flexible and solid at the same time. Wood is a live material. Every piece is different. The wooden product becomes more beautiful as the years go by”, says Jan.